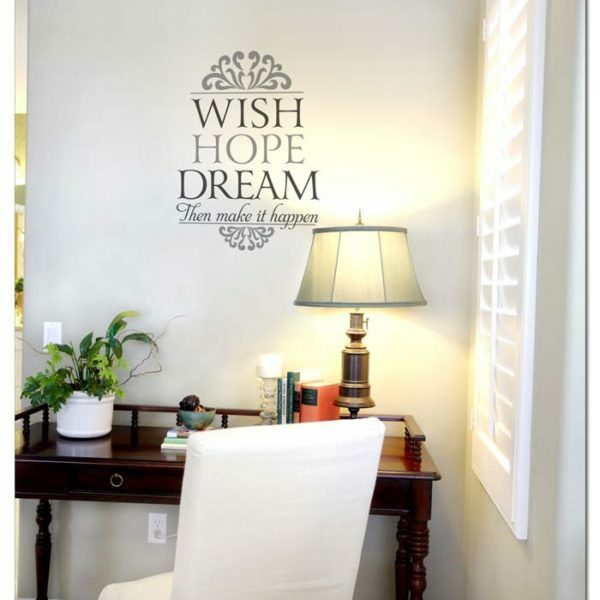 However, we are sometimes very much occupied with worries that we forget to sit back and to imagine. 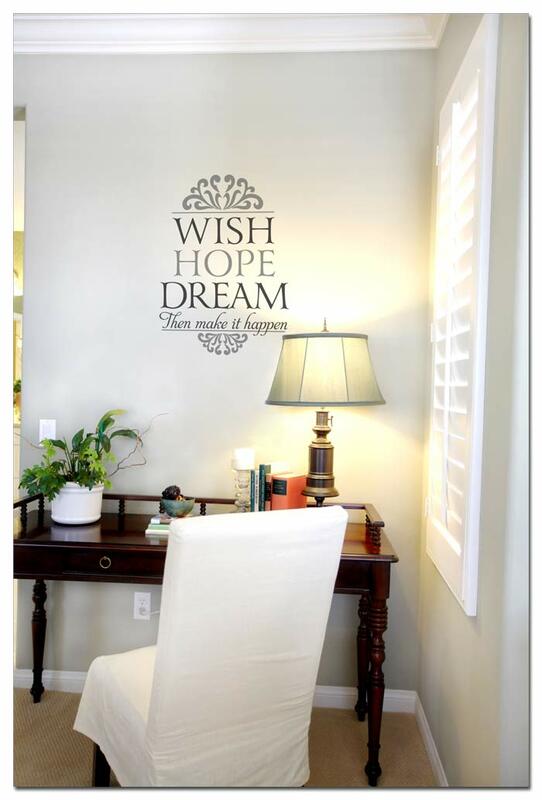 To remind yourself to never stop dreaming and fulfilling your dream, post this wall lettering on your foyer to greet your guests or on the wall of your working area so you will always be inspired to come up with great ideas. With this easy to apply wall decal, we will be encouraged to believe that we can take charge of our future. 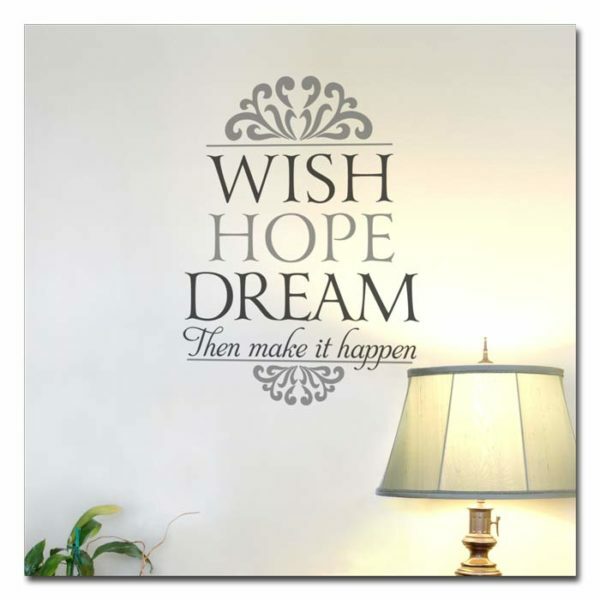 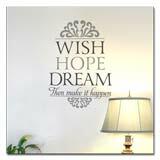 DecorativeLettering offers you this wall décor, “Wish, hope, dream then make it happen”, and that comes with a pair of swirl lettering art to complete the set.